Our office has been serving the children of Gilroy since 1986. Our mission is to provide quality oral hygiene in a comfortable and clean environment. Good oral health is crucial for your child’s development, and our crew is ready to give both of you the techniques and information you need to establish good oral hygiene. If you would like to visit our office, feel free to contact us today at (408) 847-1118. We love Dr. Van and his staff. My kids love going to the dentist. Dr. Van really knows how to make any kid feel comfortable. He let's the parent know what's going on and explains everything before he starts any work. The staff are really awesome and Sandy explains everything you need to know about your insurance or if you have any billing questions. I wish I can give ten stars. If you are looking for a great pediatric dentist this is the place to go. I took my three year old son to see Dr. Van for a dental check up. Unfortunately, he had one cavity forming and my son needed a filling done. I was a bit nervous for him but the whole process was painless and stress free for my son(and me.) Dr. Van and his staff were so good with the care they provided for my child. I was so pleased with the service we received. If you’re child has a cavity that needs to be taken care of, I definitely recommend this office! There's not enough good things I can say about the people who work here! Dr. Van and his team have created such an inviting environment for their patients. The aquamarine decor is charming and the kids absolutely love it! I appreciate how they keep the kids involved and motivated through their "No cavities club" (: The staff made us feel very comfortable and kept us informed every step of the way. They are very professional and I felt like we were in good hands. 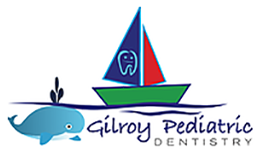 Gilroy Pediatric Dentistry has 100% of my trust! I wouldn't go anywhere else. Dr. Van has always been cordial, friendly, and a consummate professional during the past two years since taking over Dr. McKeever's practice. My son is appreciative of Dr. Van’s warm and caring attitude. His office staff has been very helpful too with regards to billing inquiries or claim related matters. Overall, Dr. Van provides great customer service and patient care. Thank you Dr. Van and to his professional staff!